1 . Has the time come? 13 . Mouthguard retention: Is design or accuracy of fit more critical? 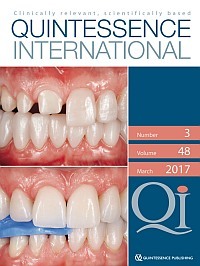 Table of contents and abstracts are available free of charge to subscribers and non-subscribers alike from 1990 to the current issue.